Almost all women are eager to have a normal/natural delivery. But, due to some medical complications or health issues, it is not possible for every women to have a normal delivery. The health issue could be of the mother or the baby for which C-section operations are necessarily done. Normal delivery is best for the health of mother as well as the baby as compare to C-sections that may introduce complications in delivery. Delivery by C-section can lead to urinary tract infection, blood loss or injury to other organs (like bladder) in mother’s body during the time of surgery. While through normal delivery, mother gets to connect to the childbirth experience more closely as she is not anaesthetic during the normal delivery and can get through every emotion of becoming a mother. Breastfeeding can be done immediately after the normal delivery as mother is conscious. Here are some of the tips, which you can follow to have a normal delivery and not the caesarean one. The first and foremost comes out to refrain from stress. During this time you have to stay away from all types of worries, stress or too much of observations as stress may lead to hinder proper growth and development of the baby. Reading good books about parenting and being in the company of good people is going to help you a lot. Avoid being with people or into the situations that make you anxious or cause you discomfort like the people who talk about their bad experiences of pregnancy and labor. Fetching yoga tricks will help you keep your stress at bay and relax yourself. During the process of delivery, one needs to hold their breath from time to time. Start practising the breathing techniques from now only. You can go for counted breathing technique, which means count slowly up to three or four while you breathe as this will help in holding your breath, or think of the word relax while breathing and do not think of anything else. This will help you to concentrate and you will do better. Breathing also helps control stress and maintains energy level in one’s body. Adequate oxygen is needed to boost baby’s proper growth and development. If you have always been making excuses for avoiding an exercise, now it’s time to make an excuse for doing it. Exercises not only help in strengthening the pelvic muscle and all the muscles of the body but also help in keeping one active during this time. Note: Learn more about bridging exercise in babygogo mobile app. It makes your pelvic and the thigh muscles strong enough to resist labor pains. It provides you with the stamina required at the time of delivery. One can go for the kegel exercises and the lower body exercises. Keep in mind to do any type of exercise only under the supervision of an expertise as not doing so could harm you as well as your baby. Diet obviously can change your way from caesarean to normal delivery. A healthier mother is capable of giving a natural birth more comfortably and without any complications. Of course nutritious and healthy food is required for a proper growth and development of the baby. So, eat properly and correctly. Drink a lot of water as this will keep you and your baby hydrated and include green leafy vegetables and fresh fruits in your diet as this will provide with the basic nutrients to the baby. Such knowledge helps you have a confident mind and shed all your fears of childbirth. Many women talk about their difficult pregnancy times and painful delivery process. Avoid listening to such tales. This can adversely affect your progression of a natural delivery process. Stay in the company of good people who talk about pleasant things and do not make you fear even more. Your support system includes your husband, your sister, your mother or the other family members. They should be by your side whenever you need them. Besides this, it is also very important for you to have somebody trustworthy with you always. Don’t be alone in the house, especially when you are in your later months of pregnancy. Having someone reliable helps in breaking all the discomfort caused to you. You feel confident and have that courage to defend any type of pain or problem easily when you know that your loved ones are by your side. Always consult a good doctor and have your prenatal check-ups done routinely. If you find that your doctor is not responding properly to you, do not hesitate and seek out for another cooperative doctor to help you out during your pregnancy. This is the part of your child’s good health. Any kind of massage, may it be for pregnancy or for something else, is always soothing and relaxing. One feels itself to be calm and stress-free after a massage. If we talk about pregnancy, the regular perineal massage after the seventh month of pregnancy is very helpful for an expectant mother to deal easily with labour and childbirth. It helps to control stress, have reduced muscle and joint pains and also helps in treating swelling. Massage helps to have a normal delivery. Pregnant women must get 8-10 hours of undisturbed sleep. Sleep cures many of your health issues. A sound sleep is important to provide the mother as well as the baby with proper growth. It helps in relieving all the tiredness and fatigue been caused the whole day to mother. Just keep the room lights dim and there should not be any kind of noise. Also, do not drink caffeine containing products like tea or coffee two hours before going to sleep so as to have an undisturbed sleep. Always go for a doctor who is into normal delivery and not the caesarean one. He can guide you the best and can also motivate you if you want a normal delivery as he is having a lot of experience. By this, you will move you a step closer to have a normal delivery. At the end, what matters the most is your baby and not how it is born. No one is going to judge you or the baby by the point that how it is born. Do not worry about the labour pains concerned with the natural/normal delivery, stay happy, plan for baby shower, go for shopping, and have a fantastic parenting experience. Read good books, be with good people and the elderly females of the family, and follow their advice. Just be happy and feel special that you are going to let a new life come into this world. Download Babygogo mobile app for connecting with awesome moms like you. Definetly, to have a normal delivery in India. It’s a dream. This is due to some old convictions that makes pregnancy a big issue. Basically Pregnancy is a milestone of achievement and not a illness. It’s a threshold to motherhood. Yes you should take care of food, diet and exercise but feel free to move, relax and live life. We should celebrate the beginning of new. Bond and should not consolidate ourselves in the name of pregnancy. This will definitely lead to more normal birth. Its actually not that difficult. There are hospitals that are clearly focused on cutting down their c section rates and are doing a very good job of it. Take Sitaram Bhartia in Delhi for example. Their maternity team actively counsels pregnant women and makes them aware on how the normal way maybe safer for both mothers and babies. Gud tips. 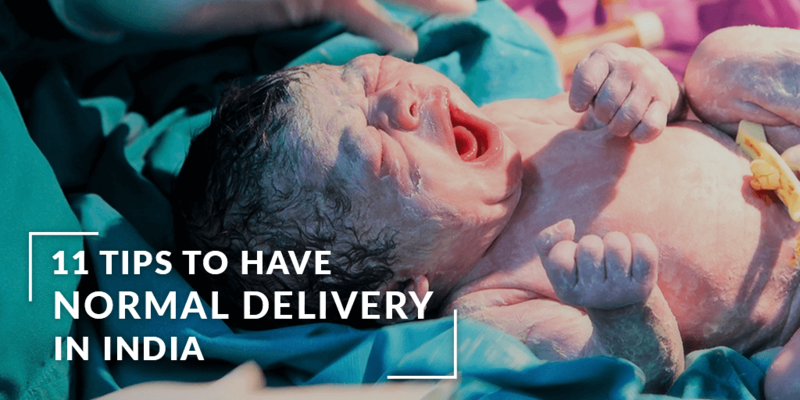 My first delivery was a cesarean, can i kw if dar are chances of normal delivery for second child. I would surely try to avoid horror stories now. Will have to sacrifice them now for getting a normal delivery. I hope my child will thank me later. Really Nice tips for all of us. I was looking for normal delivery tips. I found this really awesome post.